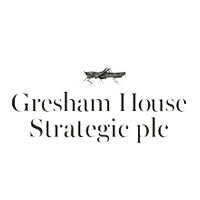 Gresham House Strategic plc is an independent, AIM quoted Investment Company in which Gresham House Plc has a 19% interest. It invests primarily in UK and European smaller public companies, applying private equity style techniques and due diligence alongside a value investment philosophy to construct a focused portfolio expected to be comprised of 10-15 companies. The investment manager aims for a considerably higher level of engagement with investee company stakeholders, including; management, shareholders, customers, suppliers and competitors, in order to exploit market inefficiencies and support a clear equity value creation plan, targeting above market returns over the long-term.